Zaza Pachulia career stats may not blow your mind. He’s averaged 7.1 points and 6.0 rebounds per game during his 13 year NBA career. A casual NBA fan might not even know his name. This fan may also say Zaza is not NBA All-Star Game material. But he is one of Georgia’s (his native country, and mine) favorite sons. Zaza is the latest of the 5 players from Georgia to play in the NBA, and his popularity has put him in Georgia’s sports elite. In 2016, many NBA fans were surprised when Pachulia was almost voted into a starting spot in the 2016 NBA All-Star game. Zaza is doing it again this year. As I’m writing this on January 16, 2017, a day before fan voting results are known, Zaza is over 200k votes ahead of Kawhi Leonard, Anthony Davis and Draymond Green. He has more fan votes than Demar DeRozan, Dwyane Wade, Kevin Love and Isiah Thomas. I read a Twitter comment that said: “Zaza Pachulia is like Donald Trump of NBA, he’s getting the most votes and nobody knows how”. Some else said: “NBA voting is rigged”, and this time it wasn’t Ayesha Curry (see last season’s NBA Finals for reference). For many NBA fans, the possibility of Pachulia starting in an All-Star Game is humorous, outrageous and shocking at the same time. But, everyone can calm down knowing that despite being amongst leaders in fan votes, Pachulia is very unlikely to start in or even make the All-Star game in 2017. The NBA has changed the voting process since 2016. Fan votes now will only account for 50% of the total votes, which determines the 10 starters (5 in each conference). The other 50% of starter voting weight will come from NBA players (25%) and select media (25%). Despite his strong position in fan votes, the media is very unlikely to vote Pachulia in. Zaza’s teammates and other players could vote for him, but only if they bypass several more obvious choices before moving Pachulia up the ballot. But Zaza is taking it all with grace and class. Regardless of whether Pachulia makes the All-Star game this year or not, he definitely feels the unity and appreciation from fans and his home country of Georgia. Georgia’s 3.5 million population is less than the state of Connecticut. Still, Georgia boasts innumerable examples of natives who have achieved excellence and stood out on a global scale. Name a field, and there is a Georgian in it who is noteworthy of a mention. From global leaders, outstanding artists, remarkable scholars, world-class athletes to magnificent dancers and much more, Georgia has them all. Georgians rally around and honor their greats every chance they get. Zaza Pachulia’s strong showing in fan votes is one example of how Georgians support their greats. Zaza knows, this kind of unity is more than patriotism, pride or any type of bias. To Georgians, Georgian land and Georgian people are sacred. Georgia has endured centuries of turmoil. 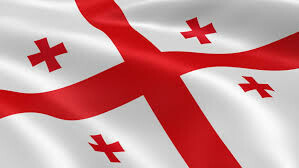 Remarkably, through all the invasions, sieges and subjugations, Georgia has maintained a strong national identity. The societal pride is greater than patriotism here, It’s more similar to a religious belief in the sacredness of the earth, and it’s people’s ability to sustain and succeed. So, while NBA fans are surprised to see Zaza Pachulia in the running to start in the NBA All-Star Game for 2 years in a row, we Georgians would be surprised if he wasn’t.